New Zealand is a small country with a high earthquake risk - well not so much a risk as a certainty. 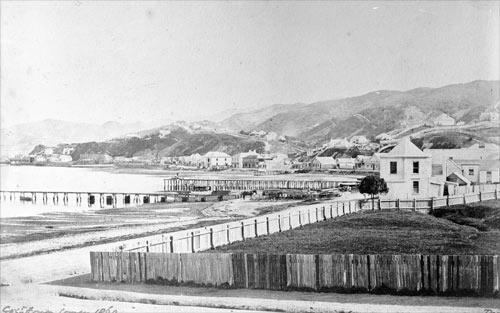 Perhaps fortunately early Wellington settlement was highly disrupted by major earthquakes - particularly the 1848 Marlborough quake, which with a magnitude of around 7.1 destroyed nearly every building in the new settlement of Wellington. 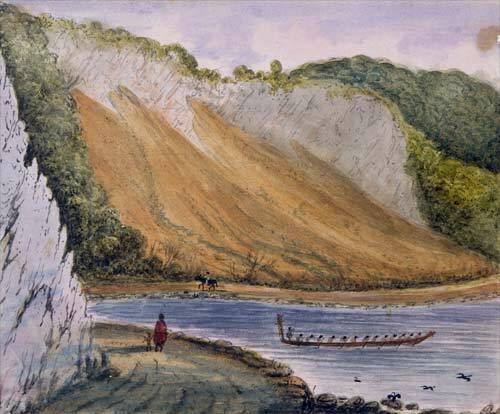 A few years later in 1855 the city was shaken by a far more powerful quake on the East Wararapa fault line - which may have been as strong as 8.3. This time there were only minimal fatalities and most of the buildings survived - as they had been rebuilt in wood. This quake raised the seabed in places up to 2 metres and was partly responsible for the settlement moving from its original Petone foreshore location to Lambton Harbour - Wellington's current CBD. The result of that earthquake had huge implications for the town planning and architecture of Wellington. First it resulted in significant flat land which became today's CBD, international airport. In addition the evidence of how poorly brick buildings survived in a quake saw Wellington rebuilt in wood. In the 1855 earthquake the only buildings entirely destroyed were those built in brick - Wellington learned its lesson and it was only in the 1980's that brick houses were again commonly seen as a preferred building material. Even today most of Wellington's new homes are built in wood. The last major earthquake in Wellington was 1942 - the city is well overdue a big shake (which will probably be over 7.0 magnitude and centred on the West Wairarapa fault again). The problem is - what to do if you live in Wellington. Well as a geologist I do know a few tricks. Statistically we spend more time in our home (usually asleep) than anywhere else. If your house doesn't collapse you have a great chance at earthquake survival. The following are the types of Wellington homes I wouldn't want to be caught in an earthquake. As seen in the 2010 Christchurch earthquake New Zealand has some of the best earthquake standards in the world. Compared to the Haiti earthquake (which was comparable in strength and depth) the lack of serious building damaged is incredible. But more significant - the main buildings that were destroyed were older, not reinforced brick buildings. Petone has two problems - its right in the path of the potential Tsunami and its built on river gravels. 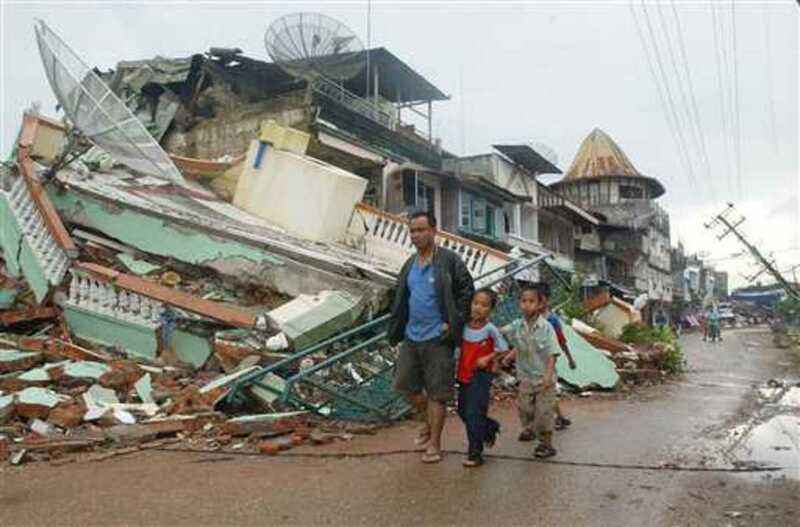 The chance of liquefaction and subsidence is high - which will make fleeing the Tsunami more difficult and dangerous. 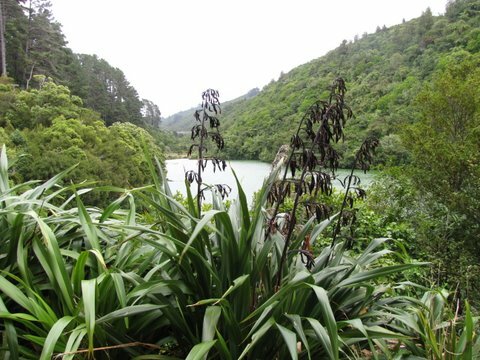 Zealandia is now a tourism attraction - a land island of native plants and animals around the old Karori reservoir. That reservoir stopped being used because the old concrete wall of the dam is not built to the current earthquake code. It should have been taken down - instead it was "conserved" (never strengthened). Avoid living downstream from the flood waters, which will probably make Karori tunnel impassible too. 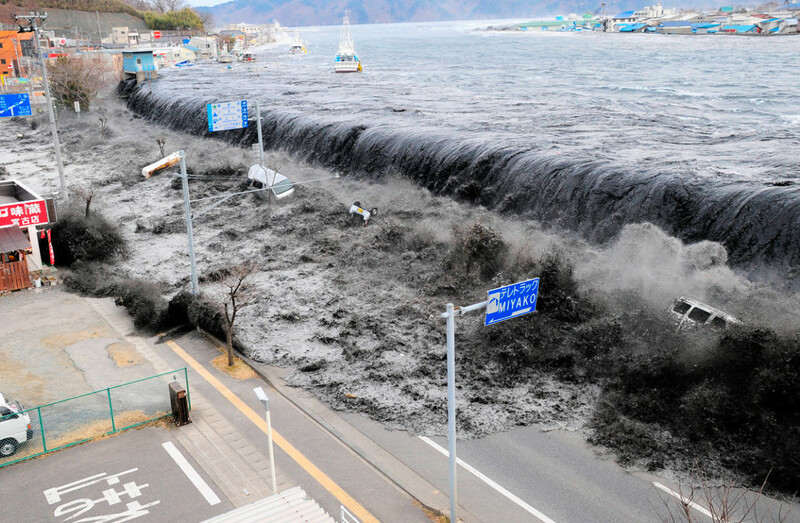 Tsunamis are actually pretty easy to survive. First you should know whether you live in a Tsunami area: if you are in the CBD or a hill suburb you have no risk. If you live on the southern coast - you have a risk. What to do in that case - get to high ground. Don't drive, or stop for the family photo albums, most definitely not wait to be told what to do. Just climb the nearest hill - you may have under 10 minutes, but you only need to get about 50 metres up. The best place to be in an earthquake is bedrock - tops of hills are good places to be because they will have the least movement. Watch out for areas built below water reservoirs and tanks though. The standard information from Civil Defence is that you should be prepared to look after yourself for three days. Frankly most of us would have that much food lying around anyway. Even if the power is off most food is unlikely to spoil in less than a week unless Wellington is having a warm summer (significantly less likely than a major earthquake). The reality is that Wellington could be isolated for weeks. Even getting the army in would be very, very difficult. Wellington only has two roads out of town - both run along fault lines - both included elevated road ways and both will be impassible. New Zealand doesn't have much of a navy anymore so we may quite possibly have to wait for the Australians to send a frigate to park in the harbour to provide personnel, heavy equipment and medical facilities. The shiny new hospital in Newtown - its on gravel, on a fault line and has really poor access even during rush hour. The airport is vulnerable to earth movement - its all on reclaimed land and Tsunami. When it happens you are going to have to wait a while - or be prepared (and fit enough) to walk a 100km or so north to get out of town. Personally I will be packing up my laptop (assuming it didn't fall of the desk and break) putting on my tramping gear and good pair of boots and heading up to Palmerston North - but its going to take me a while to walk and hitch it. Unlike many countries - most New Zealanders already have earthquake insurance - they are automatically covered by the EQC so long as they have some houes or content insurance. Guaranteed to have one one day - that's life! Sorry but Wellington weather is poor. I've lived in both Auckland and Chch and they are both much better weatherwise. Auckland is a lot warmer and no cold winds and Chch has much more sunshine and is much hotter in summer. Wellington summer (Jan Feb) is like September or April in Auckland. And Wellington doesn't get hot days - 23 is about the top you get here as compared to 35 degrees in Chch. I will be in Wellington soon for a Structural Engineer position. I hope next Wellington Quake can come later, as I will work in the city about 5 years time. to visit NZ now i'm in Wellington so good to know that about earthquakes here. 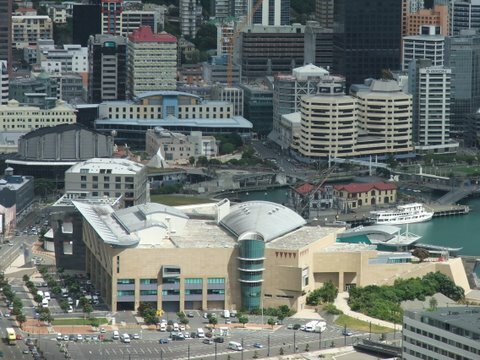 The article makes people aware about the risks in Wellington. Aftershocks represent minor readjustments along the portion of "a fault that slipped at the time of the main shock". The February quake was along an entirely different fault, and these so called "experts" can't even get its definition right. February was "not" an aftershock. I agree with all your other points and if it happens while we're in Wellington then we're resigned to the fact that a survival pack will only be useful if we survive. So we're going to build a high tech dome in the middle of the country and keep our fingers crossed nothing bad happens. If pedestrians in Wellington stopped running in front of cars and buses and learned what a RED light at a crossing means, then there really would be more chance of getting run over than killed by a quake. But during our time in Wellington we've had a mother hauling a child run, two women pushing prams, one skate boader, one student and two office workers all step in front of our car and other oncoming traffic either when the crossing lights were red or there wasn't a crossing at all. That simply doesn't happen in Auckland. Why? Because many drivers in Auckland (not suggesting Asian drivers) are oblivious to other cars let alone pedrestrians, and if you step in front of a car it'll run you over. In Wellington the council is a wet blanket encouraging people to walk and suggesting cars be banned alltogether. People walk in the CBD because so many of them don't have cars, and they don't have cars because their apartments don't have car parks! The council needs to drop its softly softly on pedrestrians to save their lives. People are getting maimed and killed on Wellington's streets where observation of normal pedrestrian/vehicle road rules would preclude it from happening. It's just dumb, senseless and completely solvable with the application of a little bit of commonsense - like, not living in a city that sits on a major faultline is common sense. Oh sure wooden building collapse - or slide of their foundations - but that's just damage - you are unlucky to killed by one. Brick or concrete on the other hand - can be deadly - because their collapse doesn't leave the voids that wood does. RE Hunter building - know it well I had stage 2 physics in it in 1981 when the rest of the building was empty because the Geology Dept refused to stay there. In 1997 I worked in Hunter (after it had been strengthened) - I would see that large stained glass window as a bit of a liability - but I do know they spent a lot of time and effort strengthening it - but it is all now staff offices not student lecture theatres. You realise the two ChCh Quakes are SEPARATE entities! The September one and the Feb 22nd quakes were on Different Fault lines for a start! Great article, great reading... Loving the comments. I'm pretty sure it's only a hundred and something who've died in ChCh so far. Most buildings in Wellington although wooden may not stay up. Quakes can and do happen anywhere at anytime - however they are more likely to occur on active tectonic zones aka faults. Quakes aren't completely random - but they are difficult to predict and NZ are some of the hardest (both the Chinese and California have made some progress with theres). And here's a thought - if there had been a credible prediction of an earthquake on 22 Feb - how would a democracy have dealt with it- would it have closed down the CBD and told people to stay at home and evacuated the inner CBD dwellers? Can you imagine the howls of outrage from those who would have lost money, and what if they wrong -or the timing was out by a few hours. The Chinese did evaculate a large city for a quake that didn't come quite a few years ago - being an authoritarian state has its advantages - its never going to happen in NZ (or California). Jeeze the Australians refuse to leave when a bushfire is headed their way! He didn't say there wouldn't be another quake for 350 years - hes said the average frequency was 350 years (not a figure I'd seen before) - average does mean guaranteed in any field of life. Frankly having the best earthquake kit in the world didn't save those poor people in Chc - though having water and a stove and a torch would make life more bearable afterwards - survival - at the end of the day is pretty much about not being in the wrong place at the wrong time (see how many - "if I'd got in the car 2 minutes earlier" stories are being reported in Chc). People do dangerous things everyday - first they get out of bed, then they often drive, or cross the road. Over 20 people died in the Cathedral collapse - but if they'd been told before they entered the building that if there was an earthquake they might be in danger - would they have still entered? We will never know - but probably, I would have if I was sightseeing in a new city. The actual risk (no of people dead divided by number of visitors over the years) is too low to calculate - even in the face of a disaster like Christchurch. One thing I would say is that some of our building standards need overhauling - I will be very interested in hearing what level of standard the CTV and PGB were before they collapsed - and that's why I am happy to publish list the list of "at risk" buildings in Wgtn - that should be public knowledge - just not available to potential purchasers. The odds haven't changed in Wgtn since the 22 Feb - nor have the ground movements been unusual - its just that everyone is hyper aware - I think most Wellingtonians thought when they saw the Chc pictures - it was supposed to be us - well that hasn't changed, but neither has it got less likely. 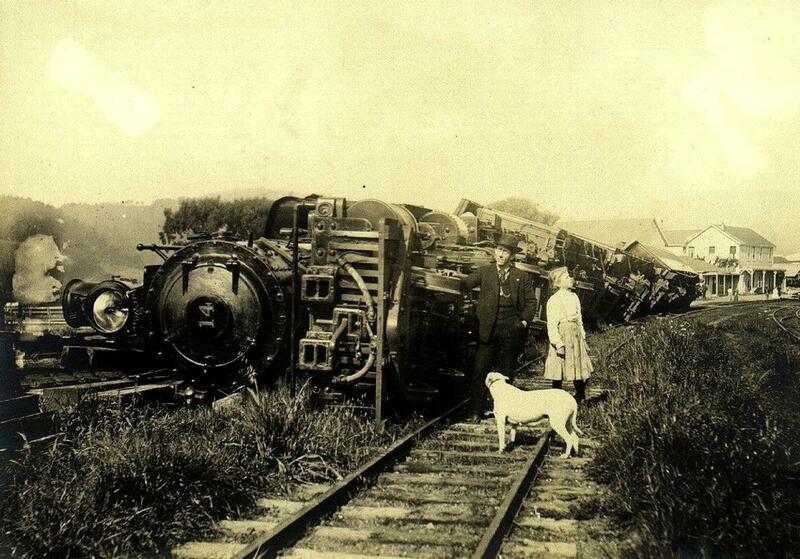 My mother was born in Wgtn in 1923 she died in 1993 and experienced one scary earthquake in 1942. Her parents experienced none. There are people in Christchurch who survived Napier in 1931 AND the most recent quake - now that's very rare. Most of us could live 70+ years in Wgtn and not experience a major quake - or we could experience several - none of this has changed - people are just more aware of it. There were after shocks preceding the February quake in Chch so big quakes don't necessarily occur unheralded. And I think seismologist's should just admit there's no science to their speculations except wishful thinking. After Septembers quake in Christchurch they said there wouldn't be another big one down there, and they were wrong. So they probably shouldn't even be making speculations. I think quakes can and will happen anywhere at anytime. It's completely random, and saying Wellington won't have another big quake for 350 years is naïve. It might not have another big quake for 3500 years, or it could happen in 35 minutes - we simply don't know, and they don't either. Given that uncertainty combined with the completely random nature of earthquakes, and the damage, death and destruction they can cause. The public would be better served being told to prepare for the worst, and spare the optimism. Being prepared for "what if" should be a civic duty impressed upon the public by those that have the attention of the media. Quakes are no longer a matter of "she'll be right", and I don't think these so called "experts" realize how complacent people can become when they hear it. Thank you for a very informative article. being a recent migrant, this helps a lot on understanding where i live. So far the weather hits me more than the shakes, as i happen to sleep through every one of them most recently last night. I guess what we can all do is just be prepared. if i ever leave welly, it will be because of the crazy winds! @citynosense 3.7 is not a big quake! And Ristau is right - there is no indication (anywhere, certainly not Wgtn) that small quakes precede big quakes - it is the other way around! @Susan - you might be right there - I need to look at map again! So we just had another 3.7 at the same location. Before it happened, I was reading a Stuff article "No big Wellington quake coming". "Two earthquakes that rattled Wellington this week are no indication that a deadly Christchurch-scale disaster is set to hit the capital in the near future, a seismologist (Dr John Ristau) says". Well, perhaps its no wonder Kiwis have a complaced unprepared attitude to earthquakes.. we've got too many "experts" pretending to know things they don't!! Lissie, your page is really helpful. 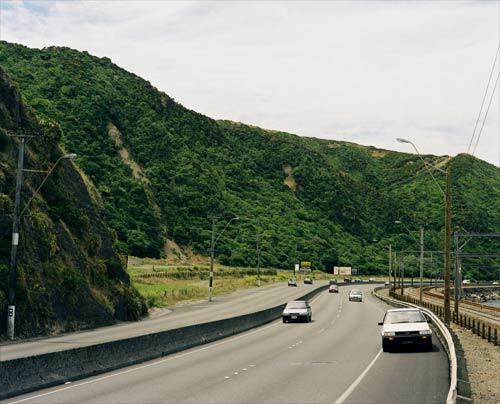 One thing, though: while the Karori tunnel would certainly be affected, isn't Karori itself uphill from where the Zealandia flood would flow? I'd be more concerned about playing in Ian Galloway Park or living along that main Wilton Road. LOL Tim - that really adds to the conversation - you sound like an engineer why don't you add something useful? Informative post. Unfortunately emotive and strays from own area of expertise and postulates engineering matters. They are all quakes - just most of them don't make the news! I did hear mention of the "upper hutt" quake this morning - but it looks like a branch of the Wgtn fault - which doesn't move much normally. The fact that its moving now - and not very much - is all good from a hazard point of view. RE packs - don't go to army surplus - well unless you are 6'2" young men - their packs not fit anyone else. I always have packs - I don't travel with suitcases - go to somewhere like bivouac or any outdoor camping store, kathandu for example - and get a pack that actually fits you - and you will never go back to suitcases! Even if you have wheels - the roads will be in no shape - I've always told friends and family - that they can look for me in Levin - I will be walking north- more importantly than packs is to have a decent pair of shoes and possibly a walking stick if you aren't used to tramping. Wellington got a rude awakening this morning at 2:20am. Another quake struck, this time 4.7, at a depth of 30k's, 10k's North East of Upper Hutt. No damage was reported but we noticed a lot of apartments in the city had their lights on where its usually quite dark at that hour. A few of the neighbors were out on their balcony's in their PJ's looking a bit dazed, but that was likely due to the time it struck rather than its intensity. A few of our friends also living in the City sent txt messages, sharing their fears that a second quake had happened in such close proximity in time and distance to the first. During the day there were 2 small quakes in the afternoon, one at midday and another around 2pm. They weren't reported but they appeared on the GeoNet drum. I don't think they even registered as quakes and such tremors might be quite common each day but the movement of our apartment was enough to bother looking. The first quake has caused a bit of a rush on emergency supplies in Wellington so we're not going to panic but we will be stocking up on tin items. We only drink bottled water anyway so we've always got a dozen 1.5 ltr bottles on hand. But we don't have hump packs so we're off to the army surplus store to find a military grade backpack as we don't think it would be very practical to be dragging our suitcases around should it be necessary to evacuate. Our car is parked in our underground carpark so we'll keep a few provisions in the boot just in case we happen to be traveling, otherwise we're not going to count on having wheels if the big one hits. The latest quake is close to the Wairarapa, so we hope GNS scientists are looking at fault lines in that neighborhood to determine their stability. Regrettably I am getting the nutters on this hub - so I have had to put manual approval on comments - your comment will still appear but only after I approve it! Your comment will NOT be approved if you try to add a prediction of the next earthquake in Wellington or anywhere. I can't predict earthquakes, experts can't predict earthquakes - particularly in Wellington. If you think you can - I strongly suggest you seek medical help - but I won't have fear mongering here! @Lissie, thanks for this information, it will help lots of people around the region. it was a disheartening news indeed. thank you. @ned - what's the house built on? Does it have a restrained chimney? what areas are downstream from zelandia? Thanks lis, that was a good read! This is the reassuring message from Massey. 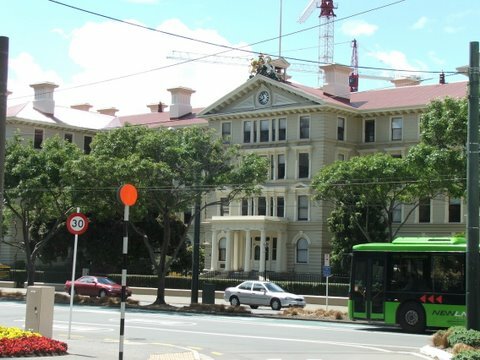 The building was built after 2004 and therefore was subject to the latest code NZS1170.5:2004. This code allows for much higher earthquake forces than previously allow for in older codes. In addition new structures have significant improvements to services for seismic restrains on storage tanks, main switchboards and key items of infrastructure services etc. I just read an article that said NZ'ers need to lose their complacency about earthquakes - well I think we're all getting that! But apparently in Japan, in earthquake prone areas, every dwelling has a survival kit outside their door, complete with hardhats. Civil Defence always pushes the message to be prepared - I guess its human nature that we wait for something big to happen before we wake up! Thanks Lissie. I hope that's the case and I'm really trying to think that way but hey...I'm a mum! I had emailed Massey this morning but haven't heard back yet. I know the swaying is good, but its still scary. I also wonder about the huge amount of glass - lots of windows as some of the rooms in the apartment have a great view to the waterfront and on the other side the rooms look onto what looks like another building but is actually part of the same. Lol to your house swaying in the wind today! We've got abit of wind here today as well, but nothing like what you're describing. Donna I'm not sure how old Taranaki St is - you could try checking with Massey? Try emailing the Council - I find they are good with email - you want to know whether the building is up to earthquake standard - if not (and I'd be surprised as its a student residence) - when does it have to be? and what percentage of the present standards is it at. The building swaying is good - its what they are designed to do - its much safer than being a rigid building (which are the brick ones that fail). BTW my house is swaying at the moment - in the bloody wind! I would imagine the museum building was heavily reinforced. She's much more in danger crossing the street than she is from earthquakes - seriously. I've just called WCC and they are unindated with calls about building earthquake standards, so will be getting back to me. What do I need to ask them? "Earthquake proofed" doesn't really mean alot - are the buildings graded as to just how "earthquake proofed" they are? 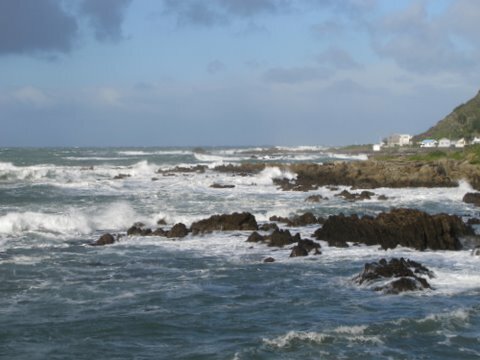 @citynosense - you are thinking along the same lines as I am - especially with the gale blowing this morning - I mean that would be an extreme weather event in most of the world LOL. I see your point about living out of the city - but travelling - and that is pretty much what I'd like to be doing too - we are now seriously considering a lifestyle which is 6 months and 1 day (for tax residency) in country and the rest of the year warm and pleasant - Thailand and Philippines are high on my lists at the moment. And the cost of living is a LOT less - without the hassle of generating your own power (though I see your point - and yes why the hell aren't the wind turbines in Wgtn - because of the stupid RMA is I think the short answer). Though I wouldn't own property in the developing world - so would probably retain our (well insured) property here. Check the costs of iPhone broadband - you may be trading your power bill for your phone bill :-( - I am using a smartphone on 2 degrees cause it was a much better deal - but its still $$$ compared to broadband deal. If you want to discuss further please feel free to contact me on sowerb (at) gmail (dot) com there's not many of us in NZ doing the online lifestyle! Now those unfortunates from Christchurch taking shelter in Wellington have a brief taste of the weather as it is for 80 percent of the year. The city gets intervals of fine weather and depressingly long periods of weather only the frogs enjoy. And even when its not raining, the wind gets so bad here it can rip a panel from a car door. And forget an umbrella, they don't build them strong enough to survive Wellingtons gales. But hey, it's the windiest place on earth and why there aren't wind turbines on every street corner providing the city FREE electricity is as puzzling as why the city was built here in the first place. We visited the Wairarapa by chance a few weeks ago and the iphone wireless broadband performed the same as in the City. And we don't need lightening fast, 3Mb/s is fine and we know dsl speeds like that are common up the west coast as far as Levin. It depends on the distance to the nearest cabinet, but there's always the option for wireless where coverage should be available wherever cellphones can be used. We also regard the country like living on the moon too but for the better part of a normal week we wouldn't have time to notice it. The weekends might be a little bit different but nothing that an occasional weekend at Auckland couldn't fix. For the money we'd save we could afford more trips out of country so our only requirement would be that there was an airport nearby. So the criteria for us is a general store for provisions, highway, airport, and cellphone coverage. And we don't need Wellington for any of that and even if there wasn't a high risk of quakes we still struggle to justify the high cost of living here because its such a small city. And if it weren't for all the Government buildings and personnel, could it even qualify as a City? Now there's the risk to life to consider that we've never thought about. And on the scale of all things even that's now something of a tipping point once its factored in with the skyrocketing costs of living in general. Petrol, food, and electricity are all destined to become luxury items costing larger and larger chunks of personal incomes, so if we can be self sufficient for a majority of our needs then the big business monopolies running this country will have one less household to exploit. 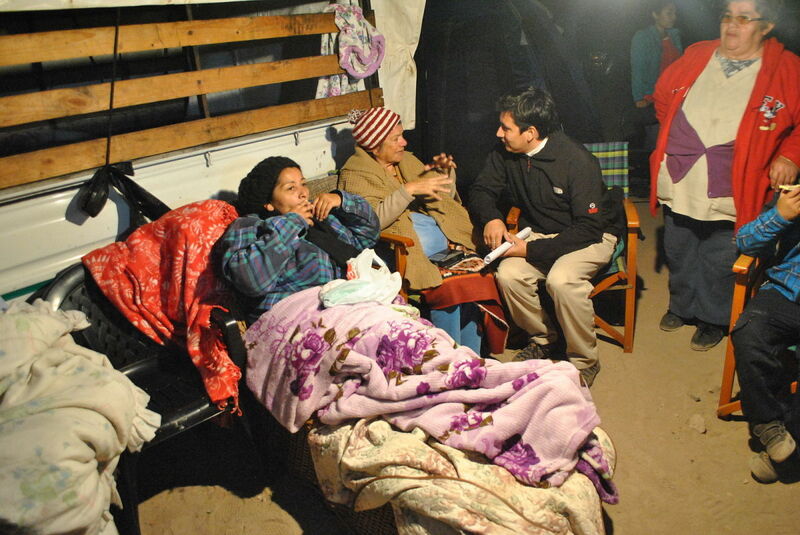 For us its simply a case of doing more to help ourselves and minimizing risk if the opportunity exists to minimize it. And we've run the numbers and by importing our own solar panels and wind turbine the cost of green electricity comes in under 15k. We're tired of getting letters from power companies telling us all the water in the lakes has evaporated so we need to pay them more for electricity. And if John Key sells off our electricity state assets to offshore investors, then those letters will be arriving every month. So we're going to reclaim the Kiwi dream. And it maybe the dull country but Johnsonville used to be farmland not that long ago and how many other Kiwi's are running the same numbers we are right now is probably a lot more than it was 10 days ago. @TPD - it looks like I am acaring the locals as well - see below! @CityNoSense - contact the WCC - there is a registrar of buildings - they should be able to tell you what percentage of code your current building is - you may want to check today's editorial in the DomPost for more info -but there is a mixture of safe and not so safe buildings in Wgtn and it would be worthwhile to know which you are in. Re leaving Wgtn - I'm in the same position - I run my business from a laptop - and even if I didn't have that all my important data is in the cloud offshore somewhere. So all I need is broadband. Before you decide to move to the country - double check the quality of the internet connections (its very hard to do but I found the geekzone.co.nz forum helpful) - I have to say its far from perfect where I live - and I'm in Johnsonville. Personally living in the country is a little like being already dead - so if I leave Wgtn it will be because of the crap weather (a certainty) not the chance of a quake. Wgtn has never been safe I'm little surprised as locals you thought it was - maybe its an age thing - I remember my mother talking about the 1942 quake - I knew the risks of quakes were high here. And yes it must have been bloody scary for Chc refugees - but I kinda smiled when you heard people saying they were going to Wgtn "to be safe from earthquakes"
As Les says life is full of risks - but earthquakes are a very minor risk - consider how many people die on our roads, compared to major disasters - I nearly died last year when I (inadvertently) ran a red light and buried my car in a bus - if I'd been on my scooter I would have been badly damaged at a minimum. found your site after hearing about the earthquake in wellington. i`m in england and was really shocked at the damage to christchurch - i`ve always wanted to visit nz. the cathedral there always looked so nice ... i hope you are able to rebuild. i`d also like to visit wellington sometime. the pictures make it look such a nice city. i`ve been to san francisco several times, and as a tourist, have been aware of the earthquake potential. but it would never put me off visiting. there`s an element of danger in everything you do - even visiting an airport these days. so good luck christchurch - maybe see you sometime. We live at Welly CBD and since the 4.5 quake 2 hours ago we decided to look up the history of earthquakes here. We've since discovered we live where the sea was, and Miramar used to be an Island. We live 8 stories above ground so if Wellington drops back into the ocean we might not drown, assuming our building survives the shaking which at 4.5 is quite frightening so high above ground. Our hearts go out to those that have recently evacuated Christchurch for Wellington. We know of several families that have made the move and their children are now petrified. Not that we can blame them, we are too. We're still shaking from the quake and it wasn't that it was particularly strong, its that we've seen what can happen in Christchurch completely out-of-the blue and the devastation that can occur in a matter of seconds. We'd like to believe it won't happen here or that we'll be ok if it does. But what Christchurch has shown us is that all bets are off. There are no guarantees, and now for us there are few things we won't do to prepare for the worst, which includes packing up and leaving Wellington while we still have our health and things of value to pack. If it weren't for Christchurch we wouldn't have spared this jolt a second thought. But the threat to life, livlihood, and posessions, is a real and present danger we simply cannot ignore. If the worst were to happen and we were unprepared, then we would only have our naivety to blame. Someone commented that New Zealand has vast amounts of land that doesn't present such a high risk as Wellington, and we're inclinded to agree. Living in a city no longer makes any sense to us. Most things we need we buy online and its delivered to our doorstep. 99 percent of our business and communication is done over the internet so if we're in a city or not makes no difference. It costs a lot less to spend an occasional weekend at a city hotel to access city venues and shops, than it does to live in the city permanently. And once you've taken in everything a city has to offer, the novelty of crowds and traffic conjestion wears thin real quick. And now with this terrible tragedy that has befallen Christchurch and its residents, and the risk of the same thing happening here, staying to become a statistic and paying through the nose for the priviledge is no longer a practical option. So its our intention to make the most of modern communication methods and relocate ourselves and our business further inland, out into the country where the land is as inexpensive as it is copious. We'll build green and off the grid, we won't wear straw hats or smoke hay but a self sufficient water supply along with home grown fruit and vegetables will provide the essentials of life taken from so many people in Christchruch. And maybe that's a future for people living in New Zealand that will make even more sense as the cost of living increases faster than incomes. With UFB eventually spreading out to rural areas of the country, real time communications will allow vitual cities to congregate in the cloud rather than congesting land that should never have had a city put on it in the first place. I'm sorry, I have to giggle a little at Pippi's comment. Lissie, you're an awful personal for single-handedly ruining Wellington's tourism by posting this hub. I have just come across this site after hearing that there was a 4.5 in welly just before - then I see it was 40km underground and the aftershocks chch having some as shallow as 3km (with same magnitude). I can't help but feel sorry for the chch people who are staying in wlgn - they must have been thinking that the damn quakes are following them. Measured 4.5. Small, but alarming. @Rose that wasn't an earthquake - just your average Wgtn "gentle" wind! There was an earthquake just now, i think Wellington is gonna be the next Christchurch, really worried. Its unacceptable that a building comes down with any earthquake below 7.0 no matter the horizontal or vertical acceleration. Informative hub thank you and I have been thinking of everyone in NZ. Take care all and I wish you all the best in the future days, weeks and months. @Nic - I deleted your comments - I won't have pseudo scientific bullshite on factually correct hubs. Suffice to say that sunspots have nothing to do with earthquakes! @Mark - you clearly don't know Wgtn - there isn't much space here at all! Hi there is seems that the staandars where not as hight after all as now Chch has been recently devastated by a 6.3 earthquake :(... are those the same standrds in the new buildings here in Wellington?? I am concerned. Chile survived an 8.8 earthquake last year in Feb and no deaths were because of buildings falling intead people died because of the tsunami. I belive Chile has very goos construction stantards same as Japan. Seems to me that Wellington City centre is not the type of architecture one needs in an earthquake vulnerable place. Some steel framed and shock absorbed buildings may be OK but on the whole the build is too high and dense. Begs the question why this has happened in a country with so much space! LOL Pipi - I live in Wellington - I write this from Johnsonville and I grew up in the city - my honours degree in Geology is from Victoria University. I have a particular interest earthquakes given I live here - and yes I do know where the fault lines are and yes the airport will be out for a lot longer than Christchurch's when the big one hits. We are not all doomed - but a major quake here will be a lot worse than the latest one in Christchurch - because of both our geography but also the crap planning decisions made over the years. Re the weather - I note all of yesterday it was raining - I guess that was the 2 weeks of summer over eh? Before I travelled I thought Wgtn weather was OK - and it is - and we don't have bushfires or cyclones - but we don't have the warm weather many overseas visitors think that we do. This hub made me so mad. I actually read it last night but was still angry this morning that I decided I had to post a comment. I'd like to know what qualifies you to write such an article. While your historic facts may be correct your foreseeing of the future seems totally over the top and emotive. I am realistic, I do know it will be terrible, anyone who lives in Wellington has a pretty good idea of just how horrific it could be but we all have a lot of faith that we'll be able to get through. You have made it sound like everyone in Wellington will be doomed and there's no point in being here. As for your comment about the weather, it makes me wonder if you've ever visited our fine city. We may have the odd 'breeze' or two but we also have great weather and while it rarely tops 30C we've currently been around the 25C mark. Judging by a lot of comments posted you've managed to ruin any chance of them visiting Wellington and therefore ruining our tourism, considering we've been voted the best Capital in the world there are obviously great things here. Perhaps I am just a proud Wellingtonian but I'd just like to put it out there that I think this hub is terrible. This hub is very nice also the pics you have added it matches the hub perfectly. An earthquake's epicentre doesn't have to be undersea to set off a tsunami - undersea landslides set off by the quake can cause tsunamis. For the tsunami risk areas, look at the Greater Wellington Council evacuation zone maps. Most of Petone is within the evacuation zones. This means you should evacuate quickly to higher ground if you feel a large quake. You only Tsunamis if the quake is underwater - so if the fault is below Cook Strait - yes there may be one - and yes if you are that close to Petone you are at risk - just don't go to the beach to check! I'm not even going to answer the prediction question - bullshite comes to my mind! Hi that was really interesting stuff. But I just have a question please if you don't mind. Because of recent earthquakes in Christchurch there has been a bit of debate in our office about the chances of Wellington having a Tsunami after a large earthquake, I kind of thought that it was most likely that we would have a Tsunami but others have argued that if the earthquake is centred in Welly the ripples will travel outwards. Could you please let me know what you think in this regard? Much appreciated as I live right in Petone about 4 houses away from the beach. Also I have heard recently a prediction that Wellington will have an earthquake on Sat 24 Sep. I am a sceptical person but the idea sits in the back of my mind. All the best. Glad you were OK! I live in California and am always a little concerned about earthquakes.I had no idea NZ was at risk until the recent earthquake. Interesting Hub, Lissie. I hope everything is going well with you. I also survived the 1995 Kobe Earthquake, Japan, while I was living and studying earthquake engineering at Kobe University! That was a once in a lifetime experience. And that is why I established a website on earthquake preparedness in the California and the Midwest, where I now live. When I heard about this earthquake the first person I though of was you. I couldn't remember if you were home or in Australia, but I am glad everything is OK with you. A very informative and comprehensive hub. Due to my ignorance, I never knew about the earthquake and NZ being so destined to it. I wish you all the very best. Nice hub. your hub is very informative about earth quake.